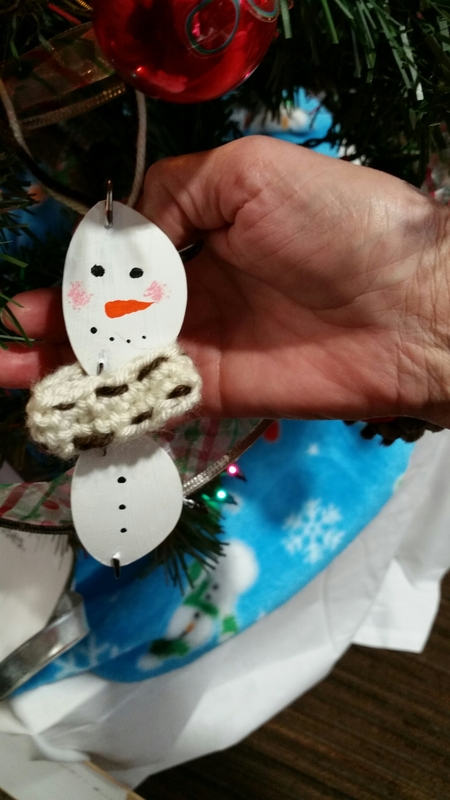 Looking for a simple upcycled ornament idea? I love this idea for reusing outgrown or broken eyeglasses and turning them into hand painted snowman ornaments. I recently saw this on a optometry themed Christmas tree at a fundraising event and love them. They’ll make great addition for our service unit’s upcycled ornament event next year.